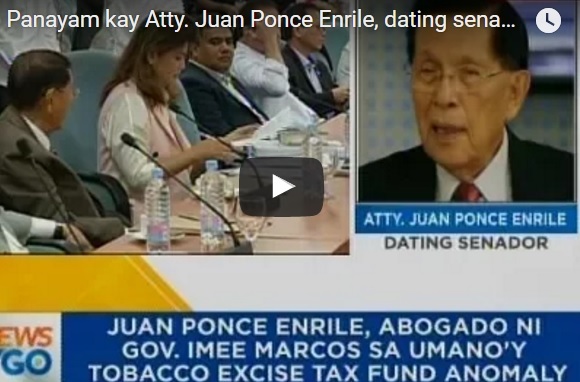 Senator Juan Ponce Enrile discloses in an interview that his lawyering for Gov. Imee Marcos in the Congress was his way of supporting her in service to the people. However, if there are charges that incur from the last hearing, the court will facilitate that and Marcos will have a new set of lawyers. At the moment, the governor pursues her plea citing the Writ of Amparo on the Congress’ threat to their liberty rights. The purchased vehicles may not undergo the required bidding but it was covered by the exemption of procurement law, said Enrile. Both sides will have difficulty in proving their stand. 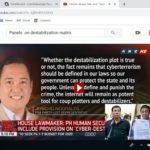 Rudy Farinas can cite the laws that were breached but Gov. 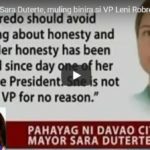 Imee Marcos can also justify her actions for the welfare of the people. Imee Marcos said that she would still push through with her petition for the Supreme Court. This is to stop an ongoing House inquiry into alleged misuse of tobacco funds in her province. Marcos said that her legal counsels advised her to continue with the high court case. They also sought protection from rights violations since there are still “threats” against her and the six Ilocos Norte government officials. The case she filed with the Supreme Court against the Congress is still pending. Only the petition for habeas corpus would be moot. This is because the so-called Ilocos 6 officials are already released from House detention. Marcos refrained from seeking the President’s help on Ilocos 6. He has many problems to solve for the country. As Enrile said; Leave the President to decide on the plight of the Leftists. He has all the information to come up with a factual decision. Let him do his job so that end the end, the people will not cry. The rebel groups are not for peace so the peace talks are useless. 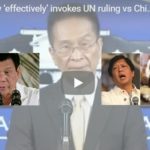 They just want some power from the country, Enrile firmly said. 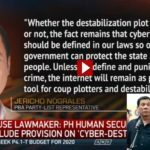 Bongbong Marcos is indeed right that Martial Law is needed for the whole Mindanao.